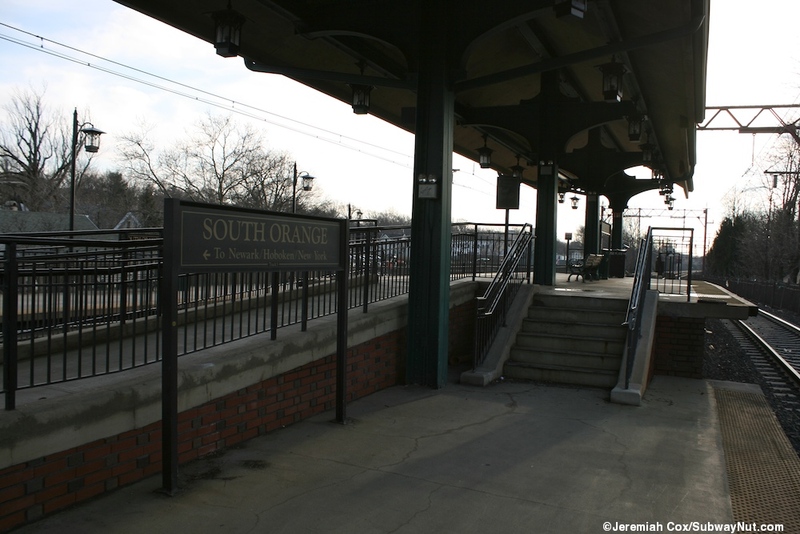 South Orange is the busiest outlying station on the Morris & Essex Lines and is an elevated station on a concrete viaduct in the center of downtown South Orange. 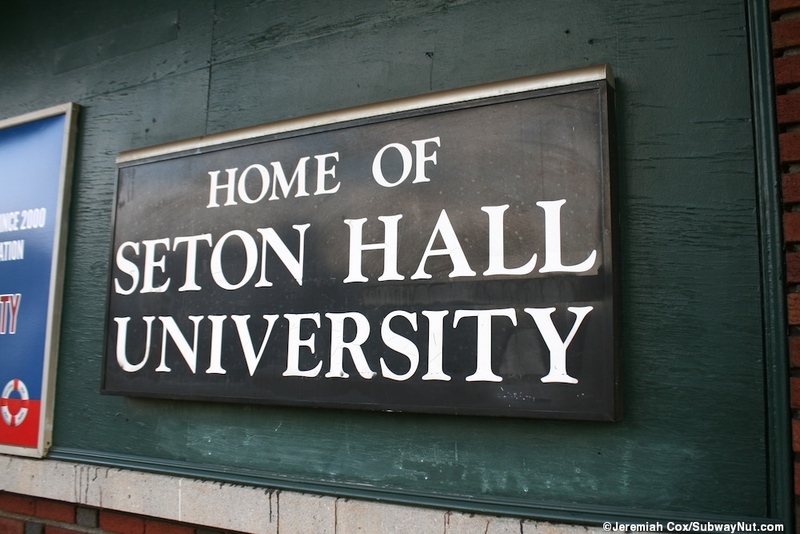 Seton Hall University is a few blocks away and the platforms have Home of Seton Hall University Signs. 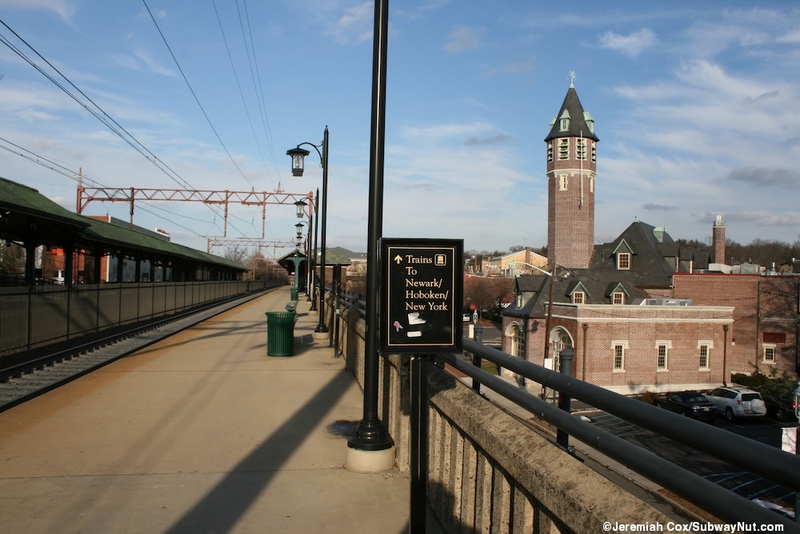 The historic viaduct and station has three tracks, a low-level island platform for the north 2 tracks (Gladstone/Hackettstown-bound) and 1 side platform for the Newark-bound track. 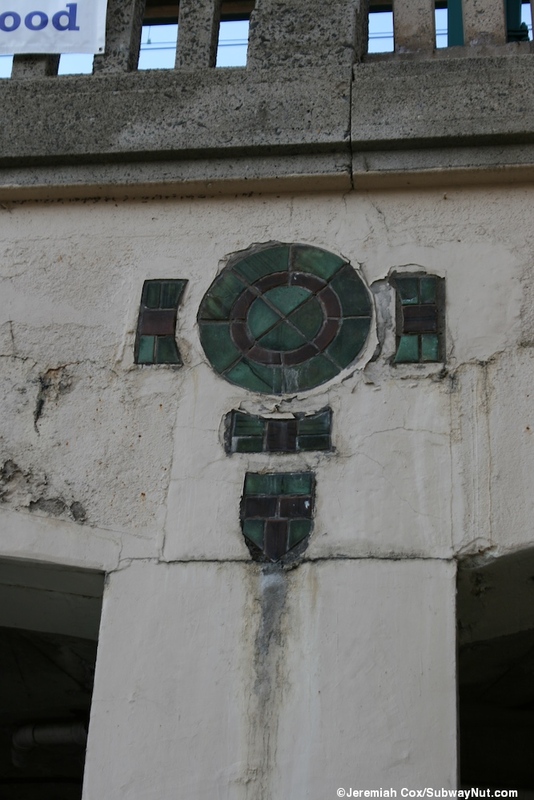 The station was built in 1916. 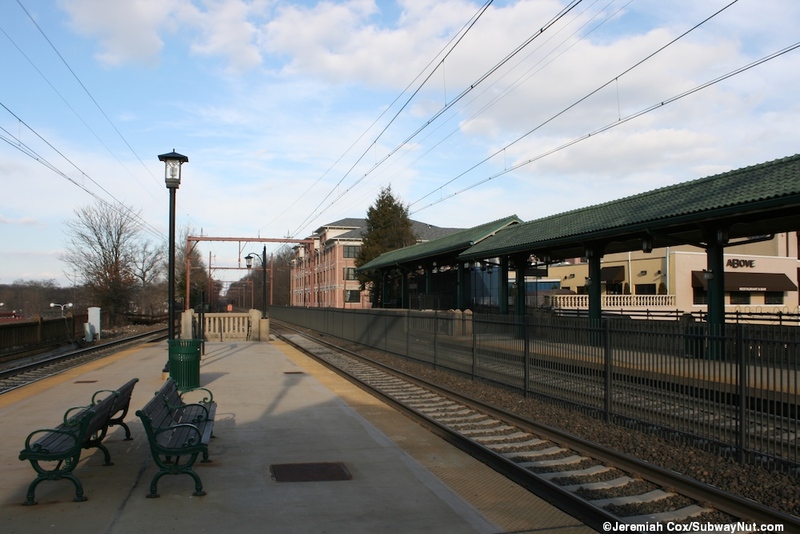 In 2004 mini-high level platforms were built at the front ends (southern end of the island platform, northern end of the side platform) of both platforms, along with the installation of elevators for ADA compliancy. 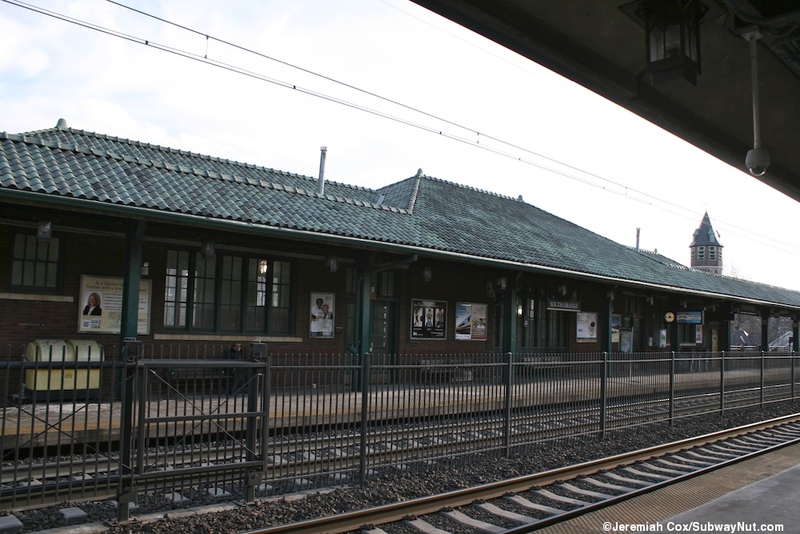 The platform canopies were also extended to the mini-high platforms with the historical styles replicated. This has left exposed areas in opposite places only at the rear of the platforms. 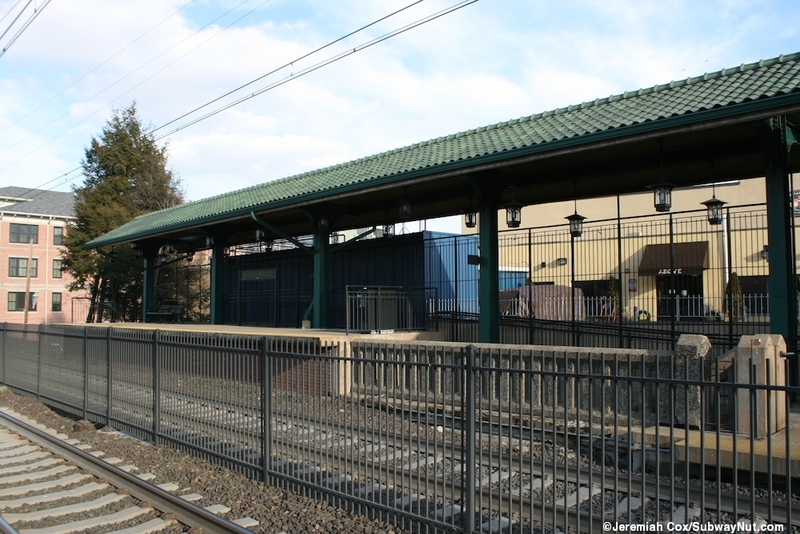 These canopies were originally identical lengths outside the station house extending from only in its area. They have Spanish tile gabled roofs and are held up by green supports beams. 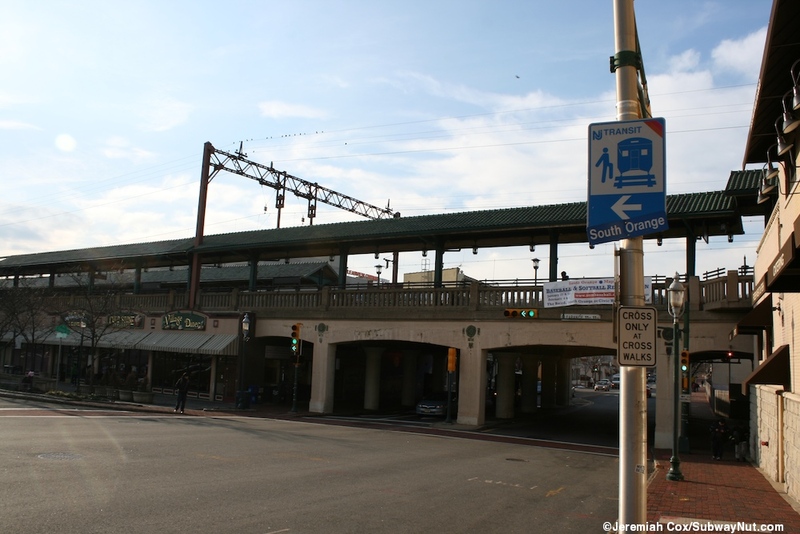 The viaduct has various businesses built under it at street level that make the station feel even more in the center of a city. 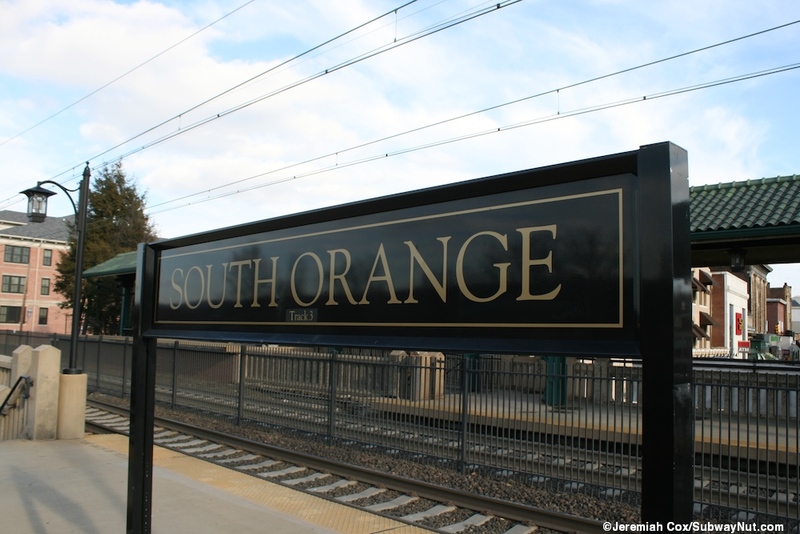 The platforms also have the trying to look historic Lackawanna Golden font signs with a simple square border. 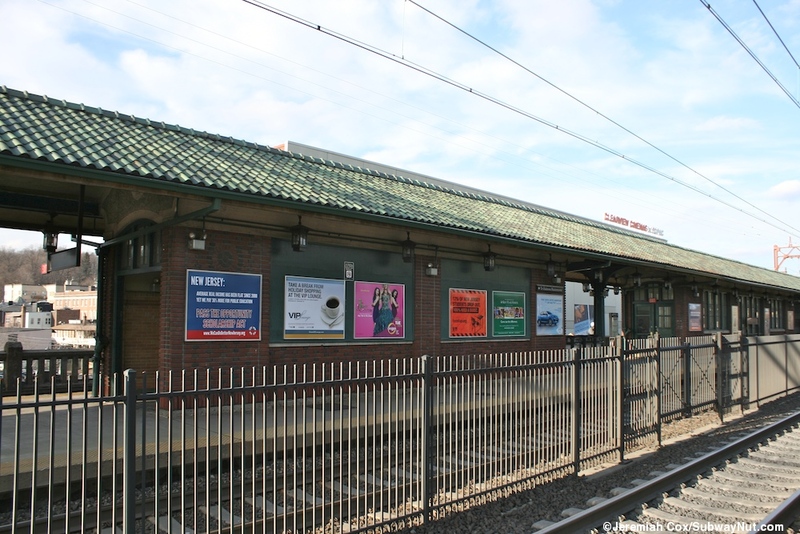 In the middle of the platforms, both beneath the viaduct and on the southside of the viaduct along the Newark-bound platform is the station's main station house. It is a brick building along Sloan Street with a spanish tile roof and plenty of green framed windows. The interior walls have brick bases with lime green top sections. 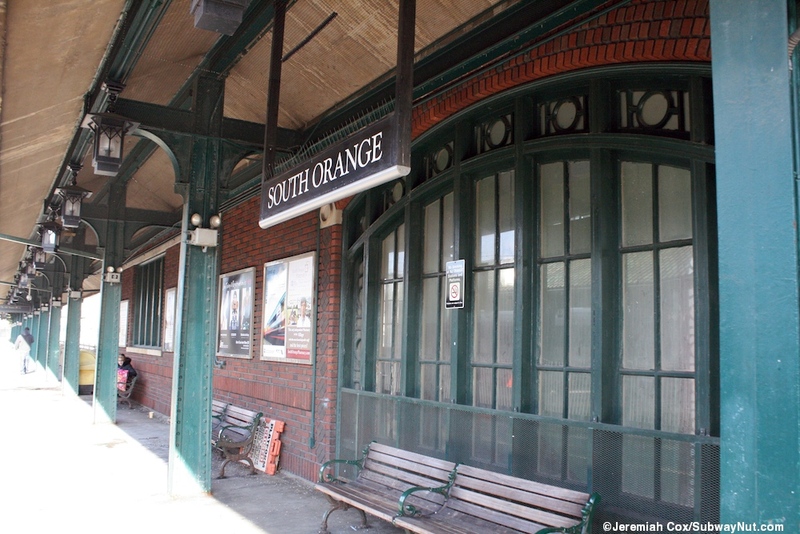 The station is open for most hours of the day with some shops although the ticket office is only open from 6am to 2pm. The two station TVMs are located inside the station house. 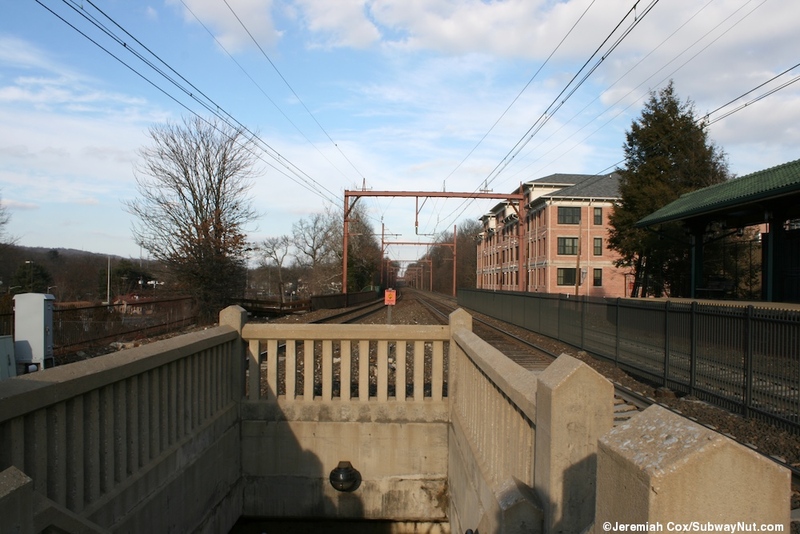 The buildings lower level is directly between the two middle tracks and all doors from the station aren't out to the street but lead on each side to beneath the viaduct. 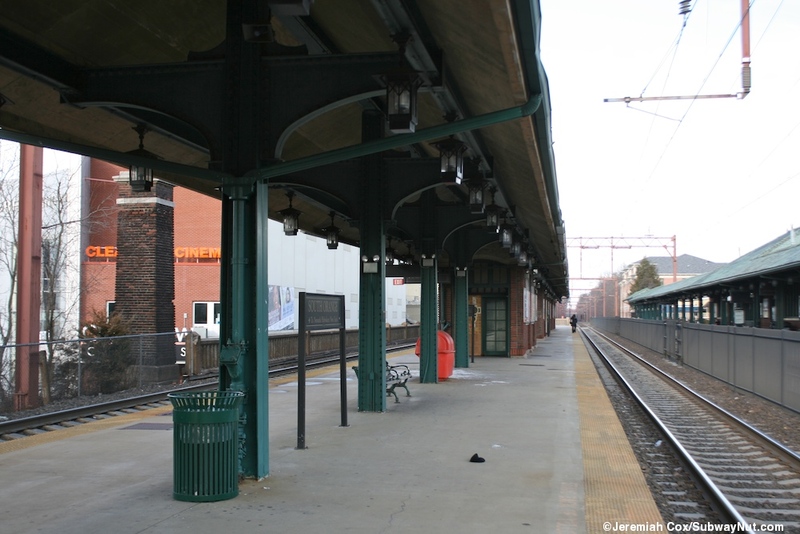 On this lower level is the ticket office and some benches plus wide white beams with brick bases that have an impressive look holding up the railway line above. On each side of the central area is a short staircase, this leads up to two staircases up to each platform. 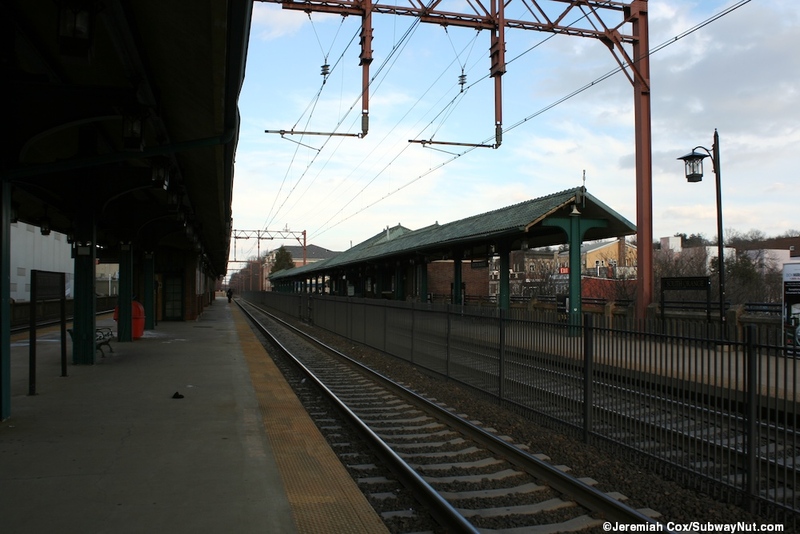 For the Hackettstown/Gladstone-bound platform these lead up enclosed with plenty of windows out to the platform in a long and narrow enclosure in the middle of the island platform. At the end of this enclosure are doors out to platform. On the Newark-bound platform two wider staircases (since their on the outside of the platform) lead up to small on platform waiting areas with a few white benches and doors from each out to the platform. 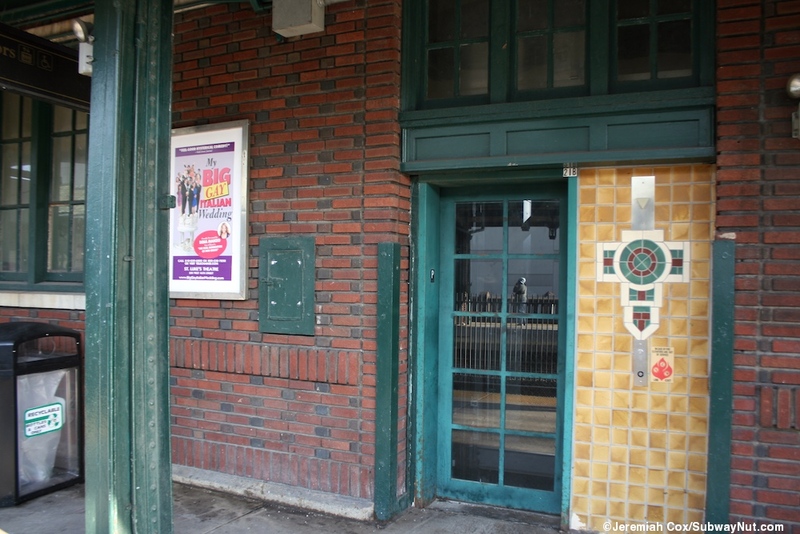 The island platform has the brick remains of what were once two separate on platform waiting areas just beyond the main platform entrance but these have been boarded up and closed. 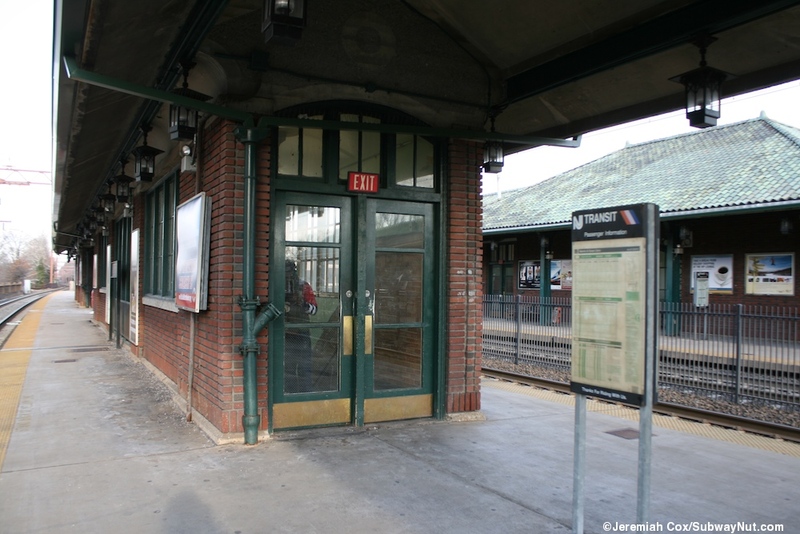 The end of southern waiting shelter now houses the top of the platform elevator that leads to a lower landing in the wide plaza below beneath the tracks, held up by concrete. 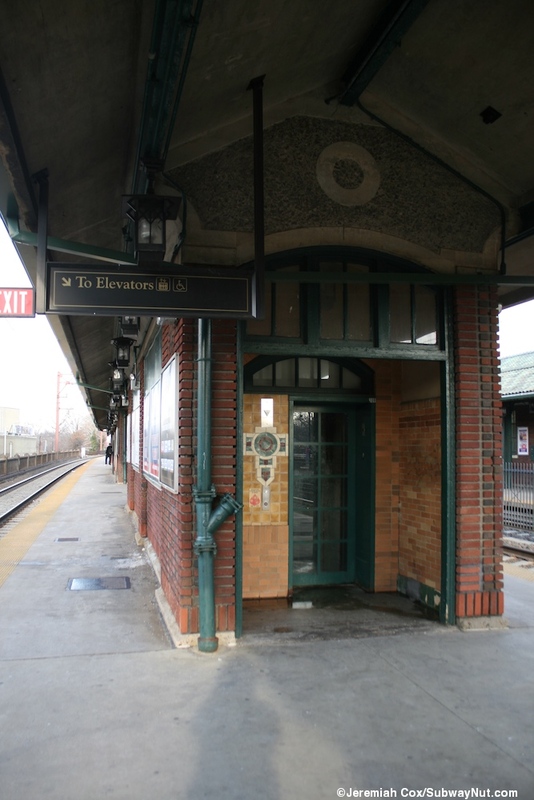 The side platform's elevator is directly across from here and is just beyond the end of the station house down to the plaza below. The east side of this plaza outside of the underpass at street level has a neat little wooden gazebo-like structure along Sloan Street. 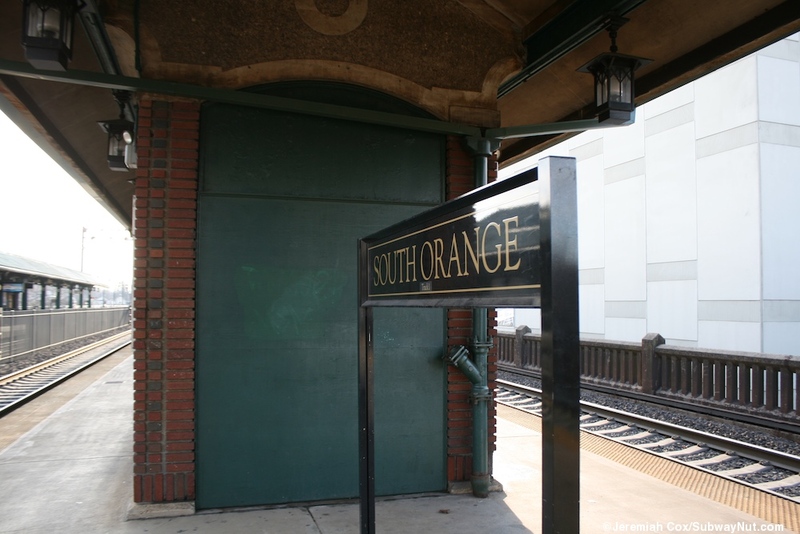 The west side leads to the modern South Orange Preforming Arts Center and the station's main 264 space parking lot that wraps its way around downtown buildings. The platforms have two more exits one at each end. 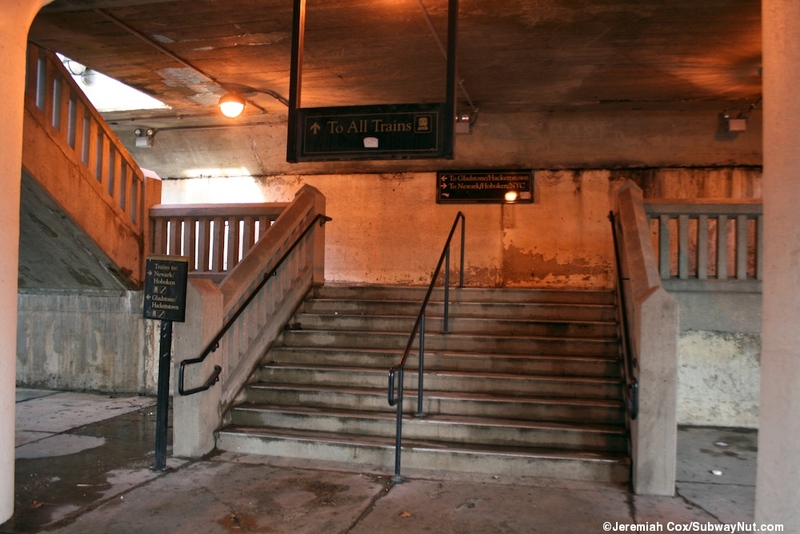 The southern exit requires passengers on the island platform to go up a ramp or stairs to the mini-high platform before coming to a staircase this leads to a short tunnel that only curves south and to Sloan Street across from Second Street There is a parallel staircase down from the side platform. 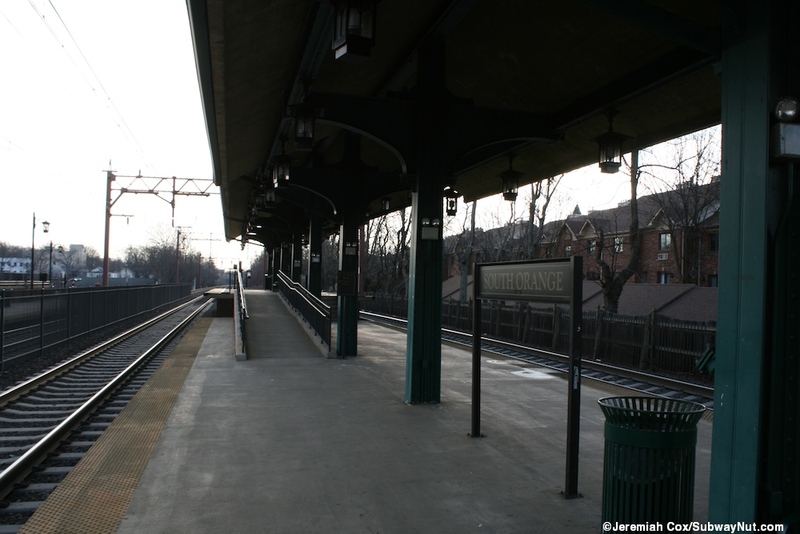 The northern end of the platforms have a staircase that lead down to an intermediate landing before becoming one and down to the south sidewalk of South Orange Avenue (Route 510)'s where it crosses beneath the elevated structure. On the side platform a ramp leads across this road, along a nearby property line away from the platform (leaving a gap) to the mini-high platform that is basically across the street from the regular platform. This Website is maintained and copyright © 2004-2012, Jeremiah Cox. This website is not affiliated with any transit provider. Please do not remote link images or copy them from this website without permission.